This page gives information on UK Bus England Travel, bus tours in England, national express bus coach company site the UK, bus coach UK timetable. Links to bus operators in the UK for bus holidays and trips in England- stagecoach, arrival. see National Express for timetables, tickets, prices, and offers. You can travel by bus from/to London, Cambridge, Bath, Oxford, Devon, Warwick, Stratford, York, Lake District. There is a Discount CoachCard, giving a discount of up to 30% off adult fares for National Express and Scottish Citylink Services. It is available to young people and students 16-25, those over 55, and also mature students. For prices see National Express website. In many areas of the country, it is possible to buy ‘rover tickets’ giving unlimited travel for a day or a period on buses in the area. On Sundays, there are fewer bus services, and some smaller places may not have a Sunday bus service. Airporter – Scheduled services between Belfast International and City Airports to Derry in Northern Ireland. Includes pdf timetable file. Alexcars Ltd – Range of UK, day excursions, short breaks, holidays and private hire using 21 to 70 seat coaches, some with television, videos and other amenities. Online quote form, and contact information. Operating from Cirencester, Gloucestershire. 1 4 All Travel Limited – Corporate and executive transportation services.Coaches, cars, and limousines. UK and European tours. Andrews – Offering, private coach hire, 5-14 day coaching holidays in the UK and abroad. Anthonys Travel – Cheshire based. Offering coach hires with images of interiors of vehicles available, contact details, and an online quote form. Applebys Coaches – Lincolnshire based offering, coaching holidays in the UK, Europe, and the U.S.A. Also offering a long list of late availability holidays from 2-9 days in the UK. Arena Travel Ltd – Surrey based. 16-53 seat coaches, online contact and quote forms. Arriva plc – Bus, coach, fleet, van; company, used and new cars; hire, daily rental to fleet management, interleaving, outsourcing. Atlantic Coast Sleeper Coaches – Rent a double deck sleeper coach as a motorhome, band bus or exhibition unit. Baileys of Newbury – Comprehensive vehicle specifications, 16-53 seat vehicles available. Online contact form. Requires flash to view. Barratts Coaches – Offering coaches from 35-77 seats. Online quote form for bookings in the UK and to the European continent. The Bath Bus Company – Offer open top bus tours of the historic city of Bath. Berkeley Coach and Travel Ltd. – Bristol company provides coach hire for functions and events, educational visits, and business travel. Britannia Luxury Mini Coaches (Dover) – Most aspects of private hire and contract work undertaken. Vehicle details, wheelchair accessible, with online contact form and testimonials. Cannon BBT – South Liverpool based company, with a range of coaches from 19 to 75 seats. Contact details. Carnells Coaches – Coach hire and European tours. Details of excursions and local services in south Lincolnshire, and an inquiry form. Carousel Travel UK – Manchester based operator of executive mini coaches ranging from 8 to 16 seaters. Centurion Travel Ltd – Bath-based coach company with 16 to 61 seater coaches for hire. Chalfont Line – Transport services including patient transport, escorted holidays, for the disabled, private hire and school transport. Chariots Coach Hire – a Family run business which was established in 1988 and specializes in providing coaches for small to medium sized groups. Coach Company – Coach hire (the UK and Europe) contracts, private hire, day excursion programme, and tours. Coach Connection – Coach hires around the UK for business and corporate travel. Cropley Coach Hire – Domestic hire and pan-European tours from Fosdyke, Lincolnshire. Devon Road – Family run mini-coach business based in Dartford and North West Kent. Dunn-Line – Coach hire and public transport in Nottinghamshire and Derbyshire. Includes routes and booking information. Durham City Coaches Ltd. – Operating a fleet of executive and standard coaches, for contract and private hire. Based in Brandon, County Durham. Elite Minibus – Eastbourne based minibus operator. Exodus Coach – Offer coach tours in the UK and Europe as well as coach driver training. Based in Bedfordshire. First Group Travel – UK based international passenger group with bus and rail operations spanning two continents. Fords of Althorne – Coaches available for private hire. Information about the company and its vehicles, details of special excursions and an inquiry form. Gemini Travel – Offers coach and minibus hire for travel in the UK and Europe. Goldenboy Coaches – Coach and minibus hire specialists. Goldryder Coaches Isle of Wight – Offering wheelchair friendly executive coaches. Listing vehicle information and contact details. Grosvenor Coaches – West Midlands, coach and limousine hire. Full coach specifications, 16-33 seat vehicles available. G.W. Travel – Offers mini coaches for private hire and tours. Details of services and contacts. South London. Hatts Europa – Wiltshire based family run coach company providing for British and continental holidays, group and corporate events. Details of coaches and special offers. Hayward Travel – Coach contractors, specializing in providing coaches for the UK and Ireland tour market. Hodges Coaches – Based in Sandhurst, berks and providing a full range of private hire, contact, and touring services. Hulleys – Peak District specialists, 23 – 53 seat coaches. UK and Europe excursions, nationwide pick up services. Images Of Bournemouth Buses – Images of the Yellow Buses that traverse Bournemouth and the surrounding areas. Imperial Bus Company Ltd. – Hire vintage and classic buses in the Cambridgeshire, Essex, Hertfordshire, Lincolnshire, London, Norfolk and Suffolk areas. Includes a photo gallery of the buses, an inquiry and booking form and contact details. J & Y Coaches – Clitheroe company providing 29-49 seat executive coaches for UK tours and private hire. Jim Hilson Minicoaches – Scottish mini-coach business based in Central Scotland that caters for small parties visiting the area. The Kings Ferry Coach Company – Kent based. The offering, 15-77 seat coaches with complete amenity listings for all vehicles. Day trips and European holidays. Link Rider Coaches – homepage – A company that offers coaches and minibusses for private and contract hire. Includes details about the service offered, fleet information, useful links and contact information. M R Travel – the Rochdale based company, offering 49-53 seat private hire coaches and UK day trips. Marbill Coach Travel – Operating from Ayrshire, Scotland, offering 27-57 seat coaches. The contract, private hire, and tours. Marshalls Coaches – Offering 20-70 seater coaches for private hire and contract work and commuting. Lists vehicle and services information, vacancies, testimonials and contact details. Masons Coaches – Operating from Cheddington. The offering, private hire for up to 38 seat coaches. Includes vehicle details and inquiry form. Mayfair’s Travel London – London based transport for business, private, Minicoach and car hire. London, UK day trips, and airport transfers. McNulty Coaches – Middlesex based. UK and European tours arranged via an online form, coach information, and contact details all provided. Megabus.com – Daily intercity travel. Provides timetables, maps and details of stops, and online booking. Merediths Coaches – Chester based coach hire for excursions, tours, and trips within the UK and Europe. Up to 70 seater coaches available. Metrobus – Travel guide for the bus route network in and around South-East London, Kent, Surrey, and Sussex plus enthusiasts’ section and company background. Midland Bus & Coach Limited – Coach and bus hire from 27 to 73 seater buses. Private hire, excursions, school trips and theatre visits. Includes vehicle details and prices. Based in Halesowen. National Express – Travel by coach around Britain and Europe. On-line fares and bookings. Nova Travel – Supplier of Sleeper Coach services to the entertainment industry. Omnicolour Bus Slides and Pictures – Slides and Pictures for sale from around the UK from 1960’s onwards. P and J Ellis – London Based, coach hire for the UK and European tours. Full amenity listing of every vehicle, contact form. Requires flash plugin. Pat’s Coaches – Coach tours both in the UK and on the continent from Wrexham. Corporate travel, contract hire, and tailor-made tours for groups and school parties. Roadliner Passenger Transport – A coach company also offering a bus service in the Parkstone area of the town of Poole. Includes information about the company fleet, team, and other services with details about working for the company. Royal Mail Postbus Scheme – Information about mail van services which also carry passengers in remote areas of the UK; includes route finder, timetables, and fare information. Safeway Coaches – Family run, providing 21 seat midi-coach to 70 seat coach equipped to carry 5 wheelchair users. Shamrock Buses – Suppliers of mainly school services in the south east Dorset area. Includes details of school bus timetables, passenger information, fleet information and contact details. Silverdale Tours Ltd – Nottingham based coach company. UK day trips and European excursions. 21-73 seat vehicles. Skills Motor Coaches Ltd – British and continental coaching holidays, corporate private hire, group travel, day trips and theatre breaks. South West Coaches – A coach company offering service routes, excursions, and tours, private hire, and schools work based in the Yeovil and Wincanton areas. Includes timetables for the service routes and contact information. Southcoast Motor Services – Vintage ex Southdown vehicles for hire. Stagecoach – National bus company linking all the British major cities. Sussex Coaches – 24 to 72 seat double-decker coaches. Assistance for first-time hirings. The UK, continental and local journeys catered for. Tally Ho Coaches – Independent bus and coach operator based in Kingsbridge Devon. 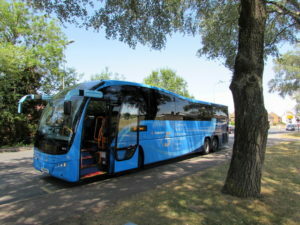 Listing Company details and information on coach hire and timetables. Timebus Travel – Traditional, red London buses, single deck, double deck and an open top, for private parties in London and South East England. Top Class Mini Coaches – Luxury minibus/mini coach operator in Peterlee County, Durham. Includes details about the company, photos of its vehicles and contact information. Transdev Yellow Buses – Timetables, and routes are displayed here to help you negotiate Bournemouth by bus. Travel Scotland – Taxi, Mini-bus, Coach Hire and Tours of the North West Highlands of Scotland. Travelers Choice – Private coach and mini-bus hire for excursions, day trips, corporate events and holidays from North West England located company. TWH Travel Ltd. – London based company. Contains details of services, and inquiry form. UK Bus & Coach Hire Directory – A listing of UK bus & coach operators, including sections on places to visit, historic sites, castles, theme parks and other places of interest to tourists and visitors to the UK. Wilts & Dorset Bus Company – Timetables and routes for the Salisbury, Blandford, Bournemouth, Christchurch, Dorchester, Poole, and Weymouth areas. Wise Coaches Ltd – Private Hire UK/European holiday, and day excursion programmes. Woods Coaches – Holidays, day trips and tours in the UK or Europe. Features details of trips, special offers and company information. Worths Coaches – Family runs Oxfordshire coach company established for over 75 years offering pre-arranged trips and excursions.